Case of 8 Dirty Jobs Complete with Oxygen Power 62oz. 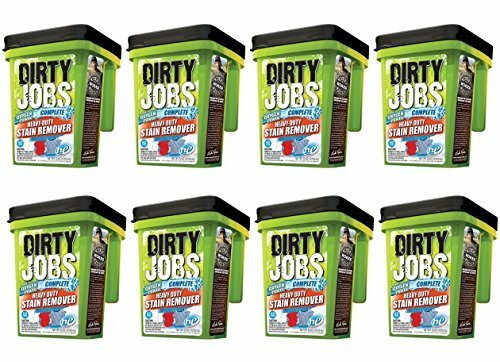 Heavy Duty Stain Remover Laundry Booster [(8)] by Dirty Jobs at Blog Free Here. MPN: 1001865. Hurry! Limited time offer. Offer valid only while supplies last. Safe for HE washing machines. Powerful stain remover. Fights tough stains like mud, wine, tea, coffee, and organic stains. Safe for all colors. Safe for HE washing machines. Powerful stain remover. Fights tough stains like mud, wine, tea, coffee, and organic stains. Safe for all colors. Loaded with Oxygen Power! Quantity of (8) 62 oz containers. If you have any questions about this product by Dirty Jobs, contact us by completing and submitting the form below. If you are looking for a specif part number, please include it with your message.